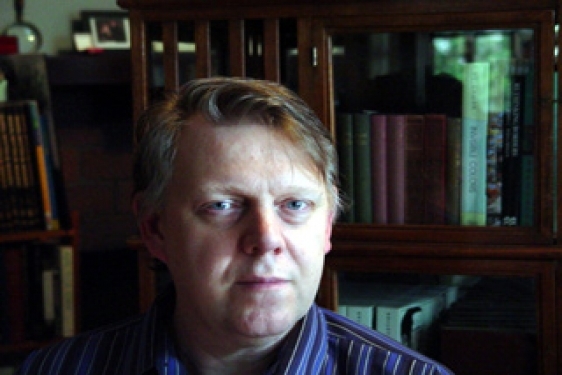 John C Welchman works in modern and contemporary art history and critical theory. Welchman has written for Artforum (were he had a column in the late 1980s and early 90s), Screen, the New York Times, International Herald Tribune, the Economist among other newspapers and journals. Recent and current exhibition projects include essays for the catalogues of Paul McCarthy: LaLa Land Parody Paradise, Haus der Kunst, Munich, Germany, 2005; Mike Kelley’s Day is Done, Gagosian Gallery, New York, 2005; Incheon International Women’s Bienniale, Korea, 2007; Tim Hawkinson: Mapping the Marvellous, Museum of Contemporary Art, Sydney, Australia, 2008; Joseph Kosuth, Ni Appearance, Ni Illusion, Musée du Louvre, Paris, 2009; John Baldessari: BRICK BLDG, LG WINDOWS W/XLENT VIEWS, PARTIALLY FURNISHED, RENOWNED ARCHITECT, Museum Haus Lange, Krefeld, 2009; John Baldessari: Pure Beauty, Tate Modern/LA County Museum of Art/Metropolitan Museum of Art, 2009-11; Andreas Hofer, Goetz Collection, Munich, 2009; Joseph Kosuth, ‘An Interpretation of This Title’: Nietzsche, Darwin and the Paradox of Content, Edinburgh University Library (Georgian/Talbot Rice Gallery) [Edinburgh Festival], 2009; Crack: Koen van den Broek, Painting, SMAK, Ghent, 2010; Cosima von Bonin, KUB, Bregenz, 2010; Jim Shaw Left Behind, CAPC musée d'art contemporain Bordeaux, France, 2010; Larry Bell in Perspective, Carré d'Art - Musée d'art contemporain de Nîmes, France, 2011; Slave Pianos | Punkasila | Pipeline to Oblivion: 3 projects by Danius Kesminas and Collaborators, Monash University Museum of Art, Melbourne, 2011; Yoshua Okon: Octopus, Hammer Museum, 2011; René Magritte: The Pleasure Principle, Tate Liverpool, 2011/Albertina, Vienna, 2011-12; Richard Jackson: Ain’t Painting a Pain, Orange County Museum of Art, 2012; Mike Kelley, Stedelijk, Pompidou, Museum of Contemporary Art, Los Angeles, Museum of Modern Art, New York, 2012-14. Welchman is finalizing two books on the relation between art, film and the representation of faces, The Celluloid Face and Faces and Powers; and a monograph on the career to date of Mike Kelley (Taschen). Two general interest publications, Please to the Table: The Russian Cookbook (New York: Workman, 1990), co-authored with Anya von Bremzen, and Fiesta! (New York: Doubleday, 1997), for which he provided photographs, have won James Beard awards. Welchman has taught at the Open University (UK); UCLA (1987); Monash University, Melbourne, Australia (1990-92); and Harvard University (1995).